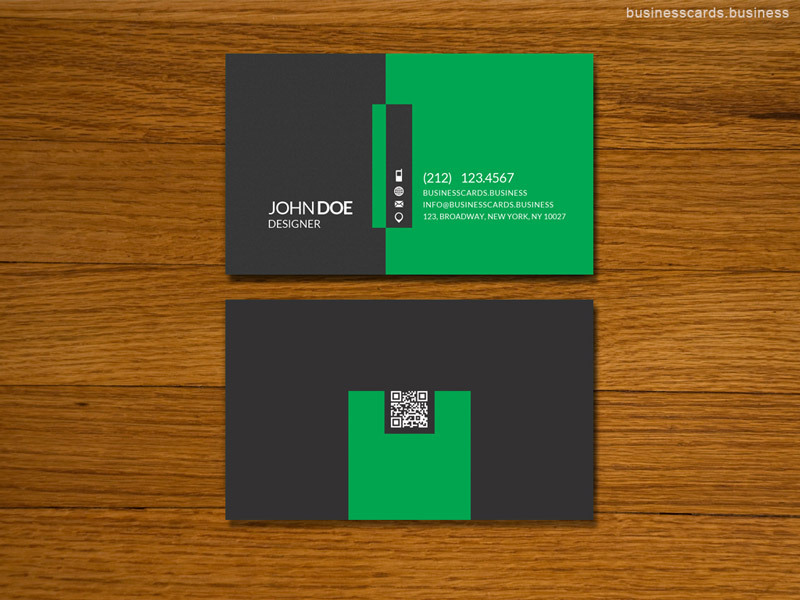 This simple business card design has a clean & professional presentation style with combinations of green and dark gray colors. 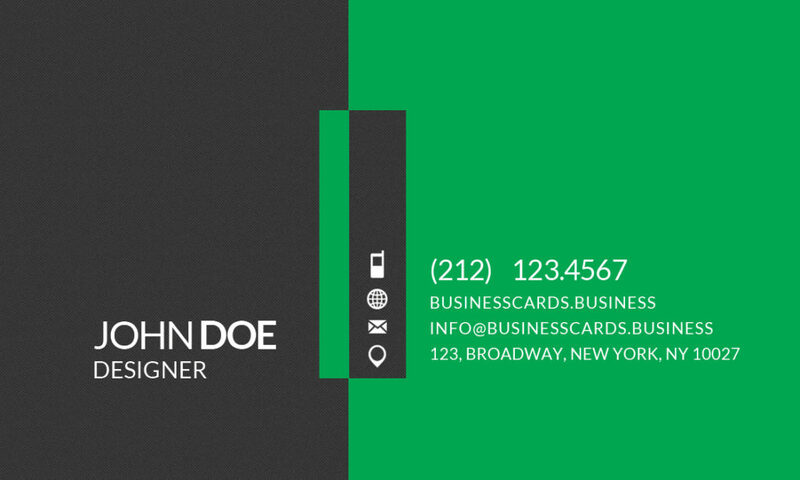 The business card template can be used by any executive or businessman. 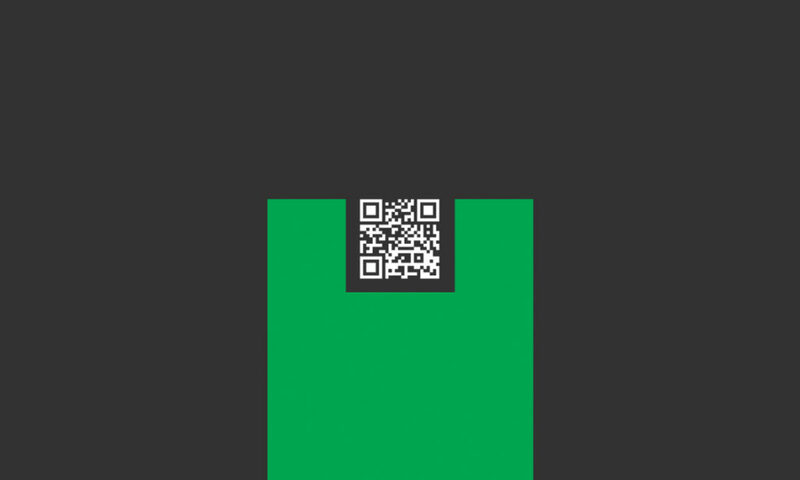 It contains a very professional style and combines the technology of a QR Code with elegant straight lines.